What is The Community Business Fund? Is it open for applications? The fund opens for applications on 24 April and closes 22 May 2019 at 12 noon. The programme is for existing community business based in England. More information on application criteria can be found in the guidance. Capital costs including building, vehicles, equipment of significant value, refurbishment costs. Find out more on the programme by reading the guidance. You can also register for our free online webinar taking place April 25th 2019 from 2 – 3pm to find out whether the Community Business Fund is right for you. You can get in touch with our grant partner, BE Group, at any point during your application process for free advice and guidance. Call our helpline on 0300 1240444 – open Monday to Friday from 9am until 5pm (4.30pm on Friday). Calls are charged at no more than a national rate call to a number starting 01 or 02. Email us: cbf@be-group.co.uk Webchat: During helpline opening hours you can also use webchat on this page to get help with your application. 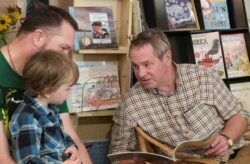 Crediton Community Book Shop received a CBF grant to purchase premises, expand services for children and create a community hub. Money from book sales goes back into the community through book fairs, school outreach, author events and reading workshops. 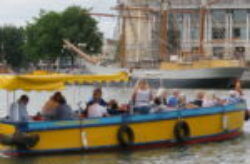 Bristol Ferry Boats received a CBF grant to enable the purchase of an electric ferry boat and develop training and community outreach programmes. The ferry service eases notorious traffic problems and is used by over 124,000 people every year. Am I suitable for funding?